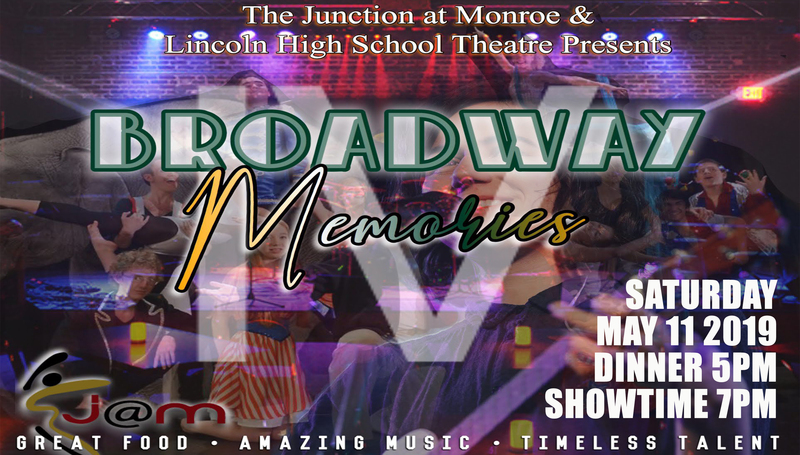 Broadway Memories, directed by Mark A. Marple, is Lincoln High School Theatre’s Annual Fundraiser at the Junction at Monroe. It is a dinner theatre production that includes a fabulous buffet dinner and non-alcoholic beverages all for only $35.00. Buffet includes spaghetti, baked chicken, vegetables, mac n cheese, and more. Students will be performing scenes and musical numbers from shows such as "Hercules", "Waitress", "Grease", and "Spring Awakening". Seating is limited, so purchase your tickets early.